Guest speaker Bob Goff is known for moving dreams out of the mud and into reality. He’s a “recovering lawyer” who wrote two NY Times bestsellers* and gave all the proceeds to move the needle from misery to hope for kids around the world. 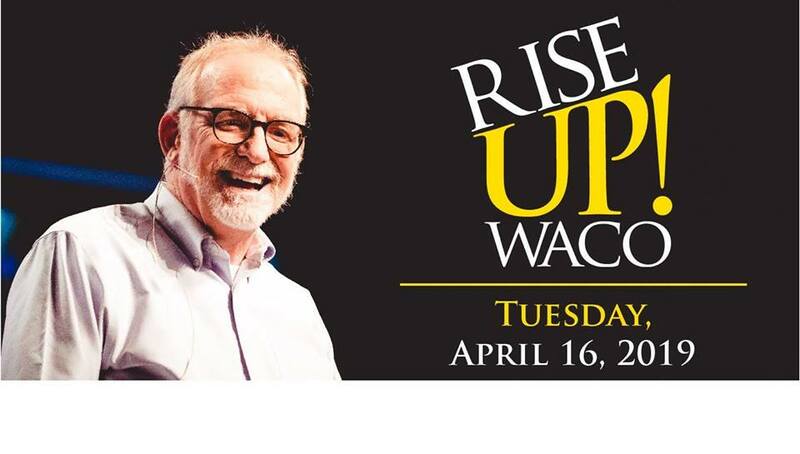 Be there this April when Bob comes to Waco with a challenge: RISE UP! FOR WACO’S KIDS. Enjoy an evening of fine food and wine and celebrate how you can help generations of Wacoans to Rise Up! Event proceeds benefit Talitha Koum Institute, a mental health and brain development program for children from birth to five in Waco, Texas. You can purchase “Love Does” and “Everybody Always” at Waco’s local Barnes & Noble store.